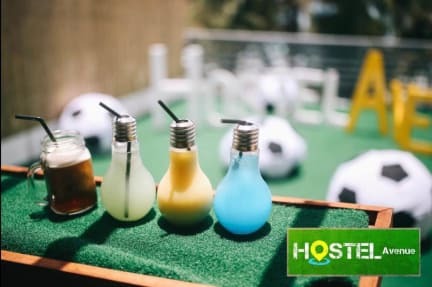 Hostel Avenue v Boracay Island, Filipíny: Zarezervujte nyní! Strategically located in the center of the island, it is just a convenient step away from the most happening spots in Boracay. We are 5 seconds away from DMALL, surrounded by several restaurants, activity areas, party clubs, transportation hubs and shopping centers. It is the perfect stop for all backpackers around the globe! Hostel Avenue has a capsule-inspired bed setup, offering good accommodation with fantastic value for money. Our friendly receptionists are also at hand to help guests arrange for tours.